Great news: Hispanic employment is booming. According to the latest job numbers, Hispanic unemployment continues to remain at one of its lowest rates in nearly half a century. The report also showed a near-record high of 27.6 million Hispanics employed and participating in the workforce in January 2019. Just a few months ago, the Census Bureau announced that the median income for Hispanic households grew by 3.7 percent in real terms from 2016 to 2017. These historic numbers didn’t happen by accident. They are the result of tax and regulatory policies that have increased economic opportunity for all. The most significant policy change occurred in December 2017 when President Trump signed the Tax Cuts and Jobs Act, which drove record optimism among small business owners and paved the way for significant investments to expand facilities, boost productivity, and increase hiring and wages. A joint study by the Internal Revenue Service and the U.S. Treasury estimated that 9 out of 10Americans saw an increase in their take-home pay as a result of tax relief. 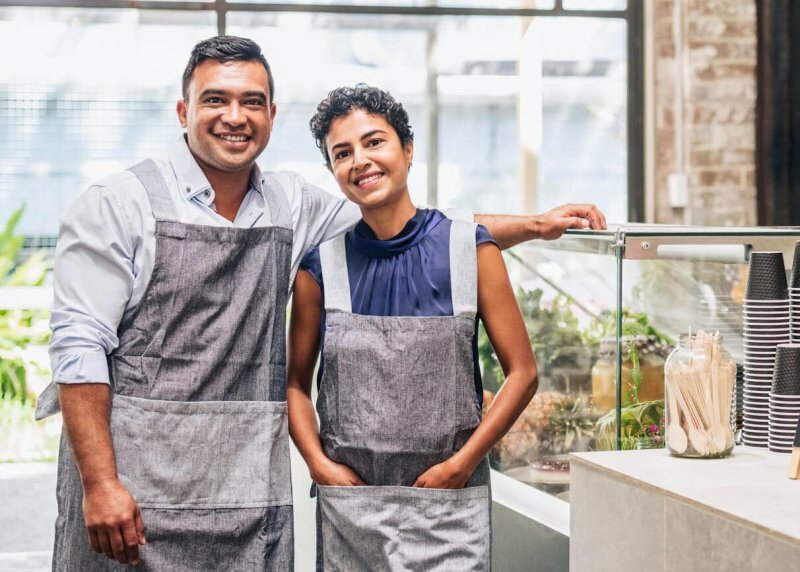 Thanks to the growing economy, more and more Hispanics are able to save, spend, and invest as they see fit, including purchasing a homeand opening up a business. But to truly appreciate how well things are going for the Hispanic community, it’s critical to look back at the years following the 2008 economic crisis. The Pew Research Center found that Hispanics were the hardest-hit ethnic and racial group during the Great Recession, with the median wealth of Hispanic households falling by 66 percent from 2005 to 2009. Not surprisingly, the Hispanic unemployment rate hovered around double digits for much of that time, peaking at 13 percent in August 2009. While there’s been a remarkable turnaround from those grim days, there are warning signs we should heed. The imposition of tariffs on our biggest trading partners threatens to derail the gains we’ve made. Last September, Washington slapped duties on $200 billion worth of Chinese imports. China followed by announcing trade tariffs on $60 billion of U.S. goods. The U.S. has also imposed tariffs on imports from Canada, Mexico, and Europe. Tariffs amount to new taxes that cost American companies billions while raising the costs for everyday goods and services to American consumers. In short, tariffs make us poorer. In some places, particularly those with a large number of Hispanic residents, trade is vital to the local economy. In Texas, where 35 percentof the workforce is Hispanic, trade activities employ nearly 3 million Texas workers. Additionally, some in Congress are also proposing to raise taxes in order to pay for trillions in new government spending. They also have their sights set on imposing additional regulations and mandates on businesses and entrepreneurs. Years of research tells us that unchecked government spending, onerous regulations, and higher taxes are a recipe for less economic opportunity. Many Hispanics, including first-generation immigrants, know first-hand the debilitating effects of such policies. In far too many countries in Latin America, protectionism, high taxes, and punishing government regulations have made it impossible for many to get ahead. It’s why so many left everything and everyone behind to immigrate to the U.S. in search of prosperity and opportunity. As the most recent job numbers confirm, the U.S. Hispanic community is thriving thanks to our growing economy. Of course, there is even more that can be done to ensure that more Hispanics are able to live out the American dream. Let’s not raise taxes and grow the size of government, but instead double down on pro-growth economic policies that have been serving our community well. Berlin was perhaps destined to be a meaningful place for Martin Luther King Jr.; it was the city that, in some ways, gave him his name. And for a man who preached against walls that “divided humanity,” a 1964 visit to the then-three-year-old Berlin Wall, which divided the Soviet-occupied East side of the city and the U.S.-occupied West side of the city, offered a chance to add another layer to that significance. The visit came about after West Berlin’s Mayor Willy Brandt invited King to participate in a memorial ceremony for President John F. Kennedy, who had been assassinated the year prior, less than six months after his own famousvisit there. King also received an invitation to speak in East Berlin from Heinrich Grüber, who had been a pastor at a church there and a prisoner in a concentration camp for three years during World War II for openly criticizing the Nazi Party. King decided to take that risk and accepted both invitations. On Sept. 13, 1964 — two months after the Civil Rights Act was enacted and a month before he won the Nobel Peace Prize — King addressed 20,000 people at a rally at the outdoor stadium Waldbühne in West Berlin. He also visited the spot where, earlier that day, East Berlin guards had shot and wounded aresident who was trying to climb over the wall into West Berlin. King also delivered the same sermon at St. Mary’s Church in East Berlin, which was over its 2,000-person capacity, and then gave another, unscheduled speech to the overflow crowd at Sophia Church, similarly over its 2,000-person capacity. And, in a city with a division that could not be avoided, he said that, while he was no expert in German politics, he knew about walls. The sermon was “particularly moving” to East Berliners, especially “his passages on the readiness of Negroes to suffer and if necessary die for their faith and his emphasis on common struggles, common faith, and common suffering,” according to a telegram rundown of King’s trip that the U.S. Mission in Berlin sent to the Secretary of State’s office, European embassies and the Moscow embassy. The U.S. State Department nervously monitored the visit, worried about anything that would heat up the Cold War or undermine its agenda to prove democracy was the better system of government. “King is determined to cross the wall and see East Berlin, and it’s very clear, at this point, that the U.S. embassy does not want him to do this. They do not want the press,” historian Michael P. Steinberg has explained. Officials were particularly concerned as racial violence in the United States was frequently held up within East Germany and the Soviet Union as “an indication of the failure of American society.” If King drew attention to those conflicts, they worried, it could be bad news for the American agenda. The embassy confiscated King’s U.S. passport upon his arrival on Sept. 12, hoping it would deter him from crossing into East Berlin, but he managed to get in just by flashing his American Express card. As the detailed official telegram described, local media eagerly covered the sermons and the press conference held shortly after he arrived. (Asked about the upcoming U.S. presidential election, the preacher of non-violent resistance warned that African Americans would revolt violently if Republican nominee Barry Goldwater won.) German scholars have written that the visit was key not only to raising Germans’ awareness of the American civil-rights struggle, but also to sowing the seeds of non-violent resistance there. Some say it inspired participants in the Prague Spring four years later, and those who campaigned for the Berlin Wall to be torn down in 1989. Waldschmidt-Nelson points out that East German opposition movements marched to “We Shall Overcome” in the 1980s. Carson points out that the message King preached to those Berliners who were so moved was not a new one. In a 1953 sermon, for example, he’d urged the audience to “transcend the narrow confines of nationalism.” The Berlin Wall was a vivid and literal example of those confines, but the world was full of metaphorical walls and King had long advocated for tearing them down.